The 1961 trial of Adolph Eichmann in Israel is often credited with refocusing world opinion on the horrors of the Holocaust, after years in which there seemed to be little interest in revisiting the details of Nazi Germany’s project to exterminate Europe’s Jewish population. Eichmann, sometimes euphemistically described as a “transportation specialist,” was responsible for moving approximately 1.5 million Jews to Nazi death camps. He was kidnapped by Israeli security forces in 1960 in Argentina and taken to Israel to face trial on genocide charges. Eichmann was found guilty and executed in 1962, the only execution to be ordered by an Israeli civil court. In “The Eichmann Trial,” Deborah Lipstadt, among the most knowledgeable and respected contemporary scholars of the Holocaust, ranges widely and probes deeply, providing riveting detail to the events leading up to the trial, followed by incisive discussions of the trial itself and its reverberations. Lipstadt’s book could also be considered a series of six stand-alone essays. The first is a two-page dedication to a police officer killed at the United States Holocaust Museum in Washington, D.C., followed by Lipstadt’s formal introduction, describing the civil defamation suit which Holocaust denier David Irving brought against her in Great Britain in 2000. The third potential stand alone essay is a cloak-and-dagger, James Bond account of how Israeli operatives tracked Eichmann down in Argentina, abducted him and returned him to Israel to face trial. Lipstadt then moves to the trial itself, the longest of the six essays. She next turns to an even-handed discussion of Hannah Arendt’s controversial analysis of the trial for the New Yorker magazine, where Arendt coined the now-familiar term “banality of evil.” Lipstadt concludes with her own thoughts on the significance of the Eichmann trial and aftershocks, more than 50 years later. Here, she challenges the conventional notion of the trial as instrumental in refocusing world attention on the Holocaust. Rather, she argues, the trial gave a “new hearing” to the Holocaust, principally through the poignant testimony of its victims, who rendered it more personal for Jews and non-Jews alike. Lipstadt begins her book with a moving dedication to Special Officer Stephen Tyrone Johns. Johns was a security guard at the United States Holocaust Museum in Washington, D.C., where Lipstadt was a visiting scholar in 2009. On June 10th of that year, Johns was killed while on duty by an eighty-eight year old racist, anti-Semite and Holocaust denier. Johns’ murder is a stark and tragic reminder that there are still people willing to act on the violent hatreds that drove the Holocaust. In her formal introduction, Lipstadt explains how she became a defendant in Irving’s defamation suit after she had described Irving as a “Hitler partisan wearing blinkers” who, on some level, “seems to conceive himself as carrying on Hitler’s legacy” (p.xvi). In Great Britain, truth is an absolute defense to defamation charges, as in the United States. But unlike in the United States, the burden of proof in defamation cases in Britain is on the defendant to show that his or her words were not defamatory. The British court found that Lipstadt had easily met this burden, terming Irving’s claims “misleading” and “reprehensible.” Irving’s falsification of the historical record, the court noted, was deliberate and “motivated by a desire to present events in a manner consistent with his own ideological beliefs even if that involved distortion and manipulation of historical evidence” (p.xxii). Irving’s case against Lipstadt was the second major court proceeding in which the Holocaust was in some sense on trial, after that of Eichmann. 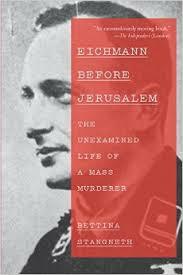 But before she addresses Eichmann’s trial, Lipstadt provides a lively account of how Israel was able to bring Eichmann to Jerusalem to face charges. Eichmann had been arrested after World War II and imprisoned in an Allied POW camp, from which he escaped with the help of former SS officers. After hiding in Germany, Eichmann fled to Argentina, known to be a welcoming venue for former Nazi officials. He traveled to Argentina with a Red Cross passport under the name Ricardo Klement which, Lipstadt suggests, high level Vatican officials likely helped Eichmann obtain. Eichmann arrived in Argentina in 1950, and worked during the 1950s in a metal factory, as a water engineer, and as a mechanic at the Mercedes-Benz plan in Buenos Aires. An unlikely series of events led to Israeli identification of Eichmann in Argentina, followed by Israeli operatives’ covert entry into the country, using false documentation. After Eichmann’s capture, he was escorted out of Argentina on an El Al plane in a manner which may remind readers of the final airport scene in the 2012 film “Argot.” Lipstadt recounts this tale of stealth and what she terms “deering-do” (p.194) with obvious gusto. Its swashbuckling zest stands in stark contrast to the ponderous themes she addresses in her discussion of the trial and the book’s two final sections. Argentina protested Eichmann’s capture in the United Nations as a violation of its sovereignty, but subsequently waived any claim it might have had for Eichmann’s return from Israel. The two countries agreed to end their dispute with a joint statement that they had “decided to regard as closed the incident that arose out of the action taken by Israeli nationals which infringed the sovereignty of the State of Argentina.” Lipstadt notes dourly that “Eichmann got an apology and Israel got Eichmann” (p.23). But the idea of putting Eichmann on trial in Israel stirred worldwide controversy. The American Jewish Committee, which arguably represented the Jewish establishment in the United States, feared that the trial would prompt questioning of American Jews’ loyalty to the United States. Conservative commentator William F Buckley, Jr. found the trial symptomatic of a Jewish “refusal to forgive” which, he feared, could fan the “fires of anti-Germanism” and advance communist aims (p.25). German Chancellor Konrad Adenauer worried that the Eichmann trial might “highlight that the German government was riddled with former Nazi officials” (p.27). Israel rejected all objections and charged Eichmann with crimes against humanity, war crimes, and crimes against the Jewish people. The trial took place in a Jerusalem cultural center, Beit Ha’am, the “house of the people,” because Jerusalem’s courtrooms were then not only small and shabby but also ill-equipped to handle an international media barrage. The lead prosecutor was Gideon Hausner, Israel’s Attorney General with an accomplished background in commercial law but no expertise in criminal law or procedure and little courtroom experience. A three judge panel heard the case, with Moshe Landau serving as presiding judge, flanked by Benjamin Halevi and Yitzhak Raveh, all three “German Jews who received their law degrees in Europe prior to immigration to Palestine” (p.41). Much of Lipstadt’s account of the trial revolves around how Hausner’s theory of the case differed profoundly from what the three judges thought was at issue. Hausner sought to draw a contrast with the Nurenberg trials, where the murder of Jews had been but another example of Nazi crimes against humanity. Here, it would be the centerpiece of Nazi crimes. But while Hausner’s objective was to tell the entire story of the Final Solution, the three-judge panel assigned to the case wanted a “narrowly constructed judicial proceeding that focused on Eichmann’s misdeeds” (p.121). The judges’ primary objective, Lipstadt explains, was to “conduct a scrupulously fair legal proceeding that would win the respect of the world.” In contrast, Hausner aimed to “tell the story of the Holocaust in all its details and, in so doing, to capture the imagination not just of Israel’s youth and world Jewry, but of the entire world” (p.21). With me in this place and at this hour, stand six million accusers. But they cannot rise to their feet and point an accusing finger towards the man who sits in the glass dock and cry: “J’accuse.” For their ashes were piled up in the hills of Auschwitz and in the fields of Treblinka, or washed away by the rivers of Poland; their graves are scattered over the length and breadth of Europe. Their blood cries out, but their voices are not heard. Therefore, it falls to me to be their spokesman and to unfold in their name the awesome indictment (p.61-62). This statement marked a milestone for world Judiasm and the State of Israel, Lipstadt argues, with Hausner a “representative of the Jewish people speaking, not as a supplicant begging for help, but as a government official demanding long-delayed justice.” For the first time, the Jewish people, who “during the war had looked this way and that for someone to speak on their behalf, had risen, not to implore others to save them but to prosecute” (p.62). unprecedently concentrated fashion. . . testifying in the full meaning of the word. . . The retelling and the size and profile of those who would be listening would be entirely different. Never before had they told their stories in front of such a broad international audience. . . never before had there been such consistently high level media coverage of this tragedy (p.66). Eichmann’s main defense was that he was “exclusively a carrier out of orders” (p.43). He contended that he “made absolutely sure to get instructions from my chief on even the most minor matters” (p.107). He invoked memory loss when needed and contended that he was no anti-Semite but rather was working with Jews to extricate them from the problems they encountered. This testimony broke the solemnity of the proceedings, as spectators greeted it with “derisive laughter” (p.108). Equally risible was Eichmann’s contention that he too was a victim. Having the misfortune to find himself in an “inferior position” during the Nazi era and unwilling to shirk his duty, Eichmann told the court that he was no general but rather a mere “tool in the hands of stronger powers and stronger forces, and of an inexorable fate” (p.115). 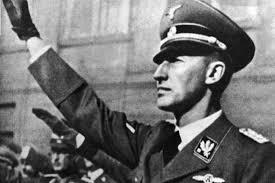 diminished the culpability of Himmler, Müller, Heydrich, and many others, and put the onus on one man. Unable to bring these higher-ranking Nazis to court, Hausner placed their guilt on Eichmann. It may have served Hausner’s short-term historical goal, but it did not serve the cause of history (p.138). To no one’s surprise, the court found Eichmann guilty as charged. The court nonetheless chastised Hausner for not focusing more narrowly on the specific acts that would have established Eichmann’s culpability, and for utilizing the court as a “forum for clarification of questions of great import” (p.141). But it went on to find that Eichmann had not offered “truthful evidence. . . His entire testimony was nothing but one consistent attempt to deny the truth and to conceal his real share of responsibility” (p.144). The panel imposed the death penalty, the first in Israel’s history, which was affirmed by Israel’s Supreme Court on May 29, 1962. Although many leading Israeli scholars and intellectuals urged Israeli President Ben-Zevi to commute the death sentence, the President rejected all pleas for mercy and Eichmann was hanged on May 31, 1962, the second anniversary of his capture. But, as Lipstadt writes, the debate about Eichmann and his trial was in no sense over. Rather, it was “about to enter a new, far more vigorous, acerbic, and intellectually active phase, one that reverberates to this day” (p.147). The catalyst for the new and acerbic debate was Hannah Arendt and her famous analysis of the trial for the New Yorker magazine, which was later used for her book Eichmann in Jerusalem: A Report on the Banality of Evil. Arendt’s “perspectives on both perpetrators and victims continue to constitute the prism through which many people’s view of the Holocaust is refracted” (p.149), Lipstadt contends. Arendt’s conclusion that “many of the perpetrators were not innately monsters or diabolical creatures but ‘ordinary’ people who did monstrous things not only seems accurate but is the accepted understanding among most scholars of the perpetrators” (p.169). Yet, Lipstadt finds Arendt’s analysis of Eichmann “strangely out of touch with the reality of his historical record” (p.169). Arendt gained notoriety for her emphasis upon Jewish leaders’ complicity in the Holocaust. The “pathetic and sordid” behavior of Jewish governing councils was for Arendt the “darkest chapter” of the Holocaust – darker than the mass shootings and gas chambers because it “showed how the Germans could turn victim against victim” (p.151). Arendt wrote at another point that the “majority of Jews inevitably found themselves confronted with two enemies – the Nazi authorities and the Jewish authorities,” a statement which, Lipstadt reluctantly concludes, sustains Arendt’s critics who accused her of “closing the gap between perpetrator and victim” (p.162). did not randomly go from being ordinary men to being [murderers]. They traversed a path paved by centuries of anti-Semitism. They “knew” this road and, given the society in which they lived, it seemed true and natural. Arendt, so deeply and viscerally committed to the European culture that nurtured the animus, seemed unable to acknowledge this reality ( p. 183). Acknowledging that Arendt “spoke with many voices” (p.180), Lipstadt finds that she too often seemed “more interested in turning a good phrase than in understanding its effect. She wanted to needle her readers to examine their assumptions” (p.184). Unfortunately, Arendt “seamlessly elided the ideology that was at the heart of this genocide. She related a version of the Holocaust in which anti-Semitism played a decidedly minor role” (p.187). 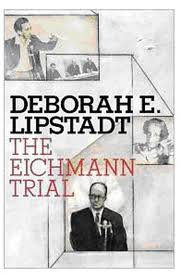 In her final section – the book’s last essay — Lipstadt provides her view of how the Eichmann trial should fit into our attempt to understand the Holocaust. The term “Holocaust,” although used prior to the trial, in some senses owes its modern usage to the proceedings in Jerusalem. These proceedings “cemented” the term Holocaust “into the lexicon of the non-Hebrew population” and “greatly accelerated” Holocaust studies as a recognized field of research and scholarship (p.188). The trial further “reinforced the notion that there is universal jurisdiction over genocide. Even though legal scholars differ over whether Israel was justified in trying Eichmann, there is now a virtual consensus among democratic states that genocidal killers cannot take refuge behind claims of obedience to superior orders” (p.189). The trial also strengthened Israeli conviction that “the nation had a legitimate right to represent world Jewish interests” (p.194). Lipstadt closes by linking an affecting description of a reunion between Rwandan genocide victims and Holocaust survivors with what might be considered her “bottom line” lesson of the Eichmann trial. A young Rwandan man who had lost his entire family in his country’s genocide told her, “Future generations, those who were not there, must remember. And we who were there, must tell them” (p.203). This, Lipstadt concludes, may be the “most enduring legacy of what occurred in Jerusalem in 1961” (p.203). With ever fewer Holocaust witnesses still living, Deborah Lipstadt seems eminently well placed to tell their story, as she demonstrates throughout her lucid, razor-sharp account of the Eichmann trial and its implications. 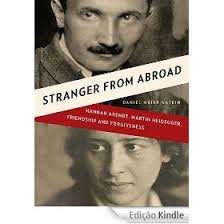 Daniel Maier-Katkin’s “Stranger from Abroad: Hannah Arendt, Martin Heidegger, Friendship and Forgiveness” explores the life-time relationship between Hannah Arendt and Martin Heidegger. When Arendt was a precocious 18 year old, in her first year at Marburg University in 1924 Weimar Germany, philosopher Martin Heidegger was one of her teachers. Married with a son and twice Arendt’s age at 36, Professor Heidegger took a shine to the young student and – violà — a campus romance ensued. Although few self respecting parents would be comfortable with their daughter in such a relationship, campus liaisons between starry eyed undergraduates and older teachers are probably more commonplace than parents of college-aged daughters would care to admit — I’m willing to bet that there might even be a present-day example at one of our institutions of higher learning here in the United States. But the Heidegger-Arendt relationship has historical interest for two reasons: both Heidegger and Arendt would go on to become formidable 20th century intellectuals — Heidegger was already a rising star in 1924 in the world of academic philosophy; and Heidegger would enthusiastically embrace the Nazi party when it came to power in 1933, while the Jewish Arendt was forced to flee the Nazis and Germany later that year, and would never again live in the country of her birth. Arendt’s flight took her first to France, then to New York in 1941, where her professional career flourished. Her first major work was “The Origins of Totalitarianism,” published in 1951, an analysis of Communism and Nazism that found parallels in the way the two systems exerted control over their populations. But Arendt is probably best known for her writings on the 1961 trial of Adolph Eichmann for the New Yorker magazine, a series of articles that evolved into Eichmann in Jerusalem: A Report on the Banality of Evil. Arendt found the mass killer Eichmann to be distinguished only by his ordinariness and stunning mediocrity, far more a proficient bureaucrat than a cold-blooded killer. Arendt’s phrase “banality of evil” has itself become commonplace in our language. Maier-Katkin suggests that Arendt’s conclusions about the ordinariness of Eichmann may have been consistent with inchoate views she had already formed of Heidegger, and help explain a subsequent reconciliation with her former teacher, notwithstanding his embrace of Nazism. Arendt’s university affair with Heidegegger began shortly after her arrival at Marburg University. For Arendt, the air around her brilliant professor “seemed to crackle with ideas and questions” (p.29). Arendt “seems to have loved him from the very first day, and he seems to have been drawn to her immediately” (p.29). Although Heidegger made clear at the outset of their affair that he would never leave his wife, his family, or the respectability of his university position, Arendt was “confident that the love between them deserved to be preserved and nurtured independently of any social convention or competing obligation” (p.36). Heidegger’s personal life was already awash in prevarication and deceit, but these characteristics did little to lessen Arendt’s admiration and love for the man. “Even after Hannah began to understand that he [Heidegger] was a liar who said whatever was necessary to manage a moment, she always believed that Martin loved her more than he loved anyone else” (p.44-45). Through Heidegger, Arendt “began a lifetime of thinking, including a persistent line of thought about thinking, about what we are doing when we are thinking” (p.28). For Heidegger “meditative thinking,” the term he used to describe thinking about thinking, had the “potential to lead us toward an understanding of the significance or meaning of existence” and “nothing was more powerful than questions about the meaning of existence . . . why should anything exists, why should there not be just nothing” (p.29). Meditative thinking is surely a fine exercise for philosophers seeking to understand the meaning of existence. But if one were to judge by Heidegger, such thinking does not necessarily lead to sound political choices. Although Heidegger’s political views prior to the Nazi era are difficult to pin down, he was “no democrat,” plainly anti-Communist, and was drawn to German “’ways of being,’ often thought to contain a degree of authoritarianism” (p.76). When the Nazis came to power, Heidegger collaborated with party officials in order to be named Rector at Freiberg University, where the incumbent refused to fire Jewish faculty members. Once Heidegger obtained the post at Freiburg, he signed off on the dismissal of all Jewish faculty members, including his former mentor and world famous philosophy professor Edmund Husserl. If not an anti-Semite,” Maier-Katkin contends, Heidegger was “certainly an opportunist” (p.94). “Grandiosity, arrogance, pride, provincialism, and ambition” all contributed to Heidegger’s readiness to embrace the Nazi cause (p.80). But Heidegger’s embrace went beyond “foolish grandiosity.” His intellectual stature “helped to legitimize the Nazi seizure of power at a time when ordinary Germans were still wondering whether the Nazis had the sophistication and intelligence to govern Germany. It was no small thing that Martin Heidegger had confidence in them” (p.100). By 1936, Heidegger had fallen out of favor with the Nazis, in part because he was deemed insufficiently dedicated to the cause. He nonetheless continued to pay party dues for several years thereafter. After the war, Heidegger minimized his involvement with the Nazi regime and academically was entirely rehabilitated, “without apologia or mea culpa” (p.244). In seeking reinstatement at Freiburg University, Heidegger argued that he had joined the Nazi party because it “facilitated his efforts to protect the university” and because he “hoped that the participation of intellectuals would deepen and transform National Socialism” (p.171). He had dismissed Jews from the university “reluctantly and passively only to keep the university from being closed” (p.171). He too had been a victim of Nazism, “spied upon, marginalized in academic and intellectual circles, his work denied the national and international visibility it deserved” (p.172). In 1950, the Freiburg University Senate reinstated Heidegger’s right to teach. Arendt followed Heidegger’s career while she was forging her own outside Germany, a “stranger from abroad.” After an unsuccessful marriage in 1929, Arendt married Heinrich Blücher in 1940, and the couple remained married until Blücher died in 1970. Arendt and Heidegger corresponded after Arendt fled the Nazis and Germany in late 1933. Maier-Kotkin documents several instances after the war when they met. The first, in 1952, was a “joyous moment of reconciliation, an instant recognition of continuity of interest, affection, and attraction in a shattered world” (p.183). Heidegger and Arendt met on several occasions in the 1960s and, for the last time, in August 1975, a few months prior to Arendt’s death and less than a year before that of Heidegger. Arendt appears to have forgiven Heidegger’s embrace of Nazism. In a speech she delivered in 1968, in honor of Heidegger’s 80th birthday, Arendt came closely to saying so publicly. Here, she termed Heidegger’s Nazi affiliation an “escapade” which she ascribed to a need to avoid the “reality of the Gestapo’s secret rooms and the torture cells of the concentration camps” (p.304-05). Seeking to understand why Arendt seemed so untroubled by Heidegger’s “escapde” with the Nazis, Maier-Katkin suggests that the views Arendt expressed in her Eichmann writings may afford a clue. logical corollary of her earlier understanding of totalitarian systems: that they secure the complicity of whole populations – the Eichmanns and the Heideggers – through the use of terror, propaganda, and largesse to undermine any moral compass and to manipulate culture, language, and all the affiliative herd impulses so that average, normal citizens and even truly exceptional people become confused about right and wrong (p.286-87). After her husband’s death in 1970 and that of another key mentor, Karl Jaspers, Heidegger became Arendt’s “only remaining link to the world she had known in her youth” (p.314). In her solitude, Arendt became “increasingly absorbed in her effort to comprehend the relationship between thinking and moral judgment; and she was never far from her gratitude to Martin Heidegger, the ‘hidden king of thinking’ with whom she had first been introduced to the life of the mind” (p.314-15). Maier-Katkin’s supposition that Arendt’s notion of the banality of evil could be applied to Heidegger in the manner she had applied it to Eichmann is intriguing but not demonstrated here, notwithstanding an extensive written record left by a woman who wrote prolifically and candidly. Absent the probing analysis into Arendt’s psyche, I couldn’t put aside the naïve suspicion when I finished the book that her reconciliation with Heidegger might represent the simple but powerful triumph of Eros, the continuation of a school-girl crush that even the horrors of Nazism and the Holocaust were unable to dispel.